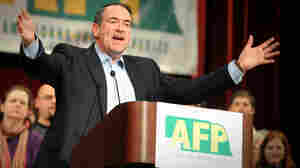 May 14, 2011  Huckabee said he that despite plenty of indications that he could do well in the race for the nomination — widespread grassroots support and polls that showed that he had broader appeal to just social conservatives and also a good chance of winning primaries and caucuses, he ruled out a run. May 13, 2011  A number of the possibilities have weaknesses that make it unlikely any one of them will become the GOP nominee. But Huckabee is one of the potential candidates who polls at or near the top of virtually every survey of Republican voters. April 12, 2011  In a poll that likely doesn't tell us much about how the contest for the GOP presidential nomination will turn out but may speak volumes about how voters perceive the current candidate field, Donald Trump and Mike Huckabee are tied for the lead of oft-mentioned GOP possibilities. 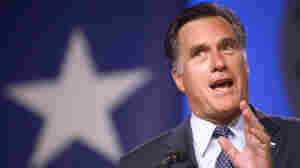 April 11, 2011  Blaming the high jobless rate and home foreclosures on President Obama, Mitt Romney said that he was exploring the possibility of a presidential run because the nation needs an experienced businessman like himself at the helm. March 4, 2011  E.J. Dionne said the GOP presidential field reminded him of the unexciting 1988 Democratic field that produced Michael Dukakis. David Brooks bemoaned how the race had narrowed so early to the two former governors. January 24, 2011  The first GOP presidential debate was scheduled for May 2. Mike Huckabee said he won't be there because he doesn't plan to decide until summer. December 6, 2010  Huckabee told Politico he wonders why he hasn't gotten more 2012 attention given he polls so well. By contrast, Palin gets much more media buzz. The folksy Huckabee could prove one of the tougher matchups Obama could get.